A drug investigation by the Dover Police Department has led to the arrest of two people. 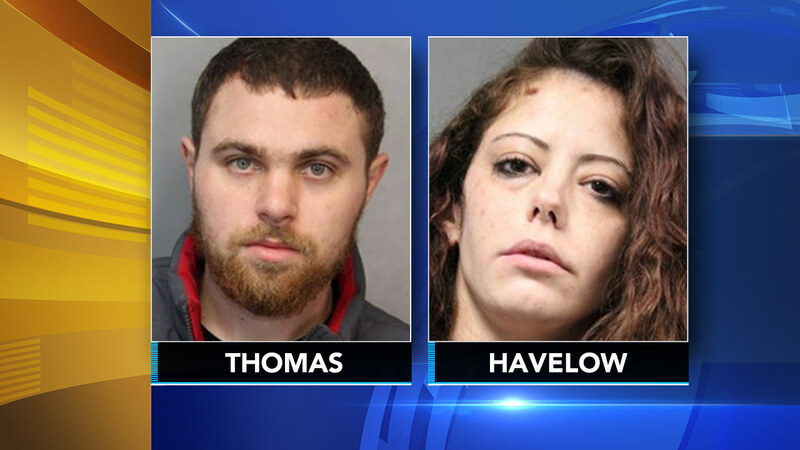 Russel Thomas and Kimberly Havelow, both 28-years-old, were apprehended from the Dover Downs Hotel located at 1131 N. DuPont Highway on January 11. According to police, they attempted to contact Thomas in the parking lot of the hotel when he fled on foot. Officers quickly apprehended him and then arrested Havelow who was inside their hotel room. Police obtained search warrants on that hotel room and also on Thomas' vehicle. Investigators say Thomas was found in possession of 351 bags of Fentanyl, 2,158 bags of heroin, 4.2 grams of cocaine, 2 grams of marijuana, and a loaded 22 caliber handgun. Havelow was found in possession of 45 bags of heroin, police say.